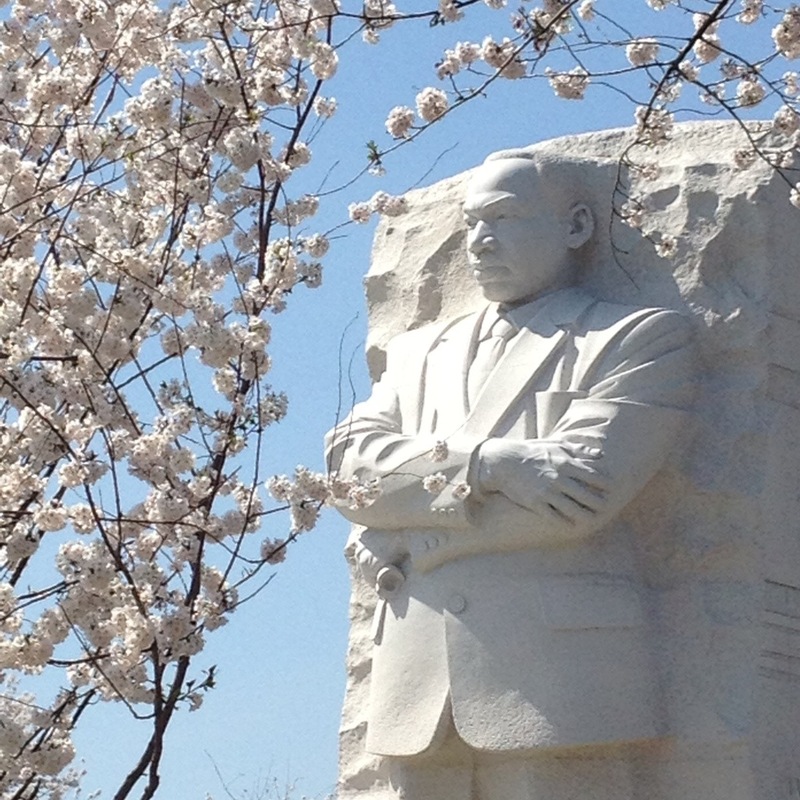 Yesterday — which ever so conveniently aligned with my planned birthday off from work — was the first day of the peak blooming period for DC’s famous cherry blossoms. The cold weather had kept them at bay much longer than expected, but once they decided to appear… Whoa. I don’t know if I’ve never made it down to the Tidal Basin right at peak before, or whether this year’s crop is better than usual, but I’ll admit I was impressed. 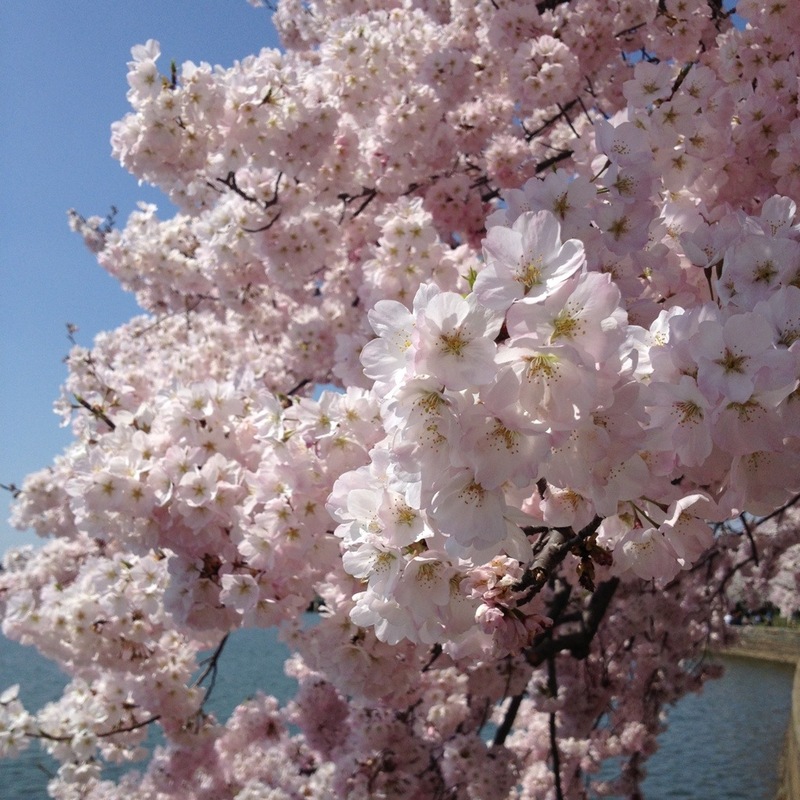 A closeup of the cherry blossoms. 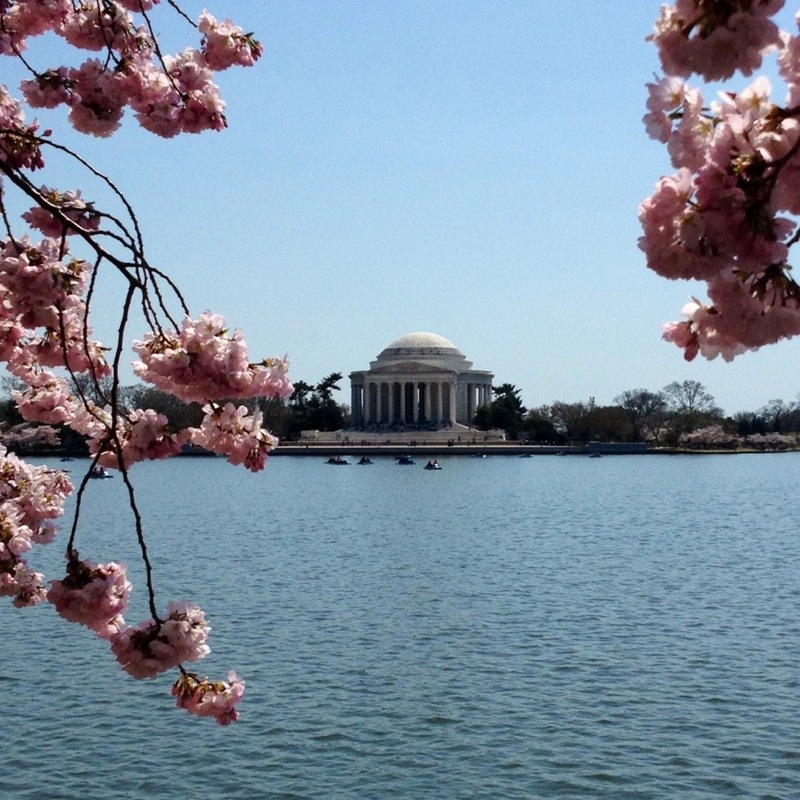 The Jefferson Memorial framed by cherry blossoms. And as if that was not enough floral beauty for one birthday, I got into work today and found a huge box of gorgeous flowers from my nephews. I’m such a lucky auntie! 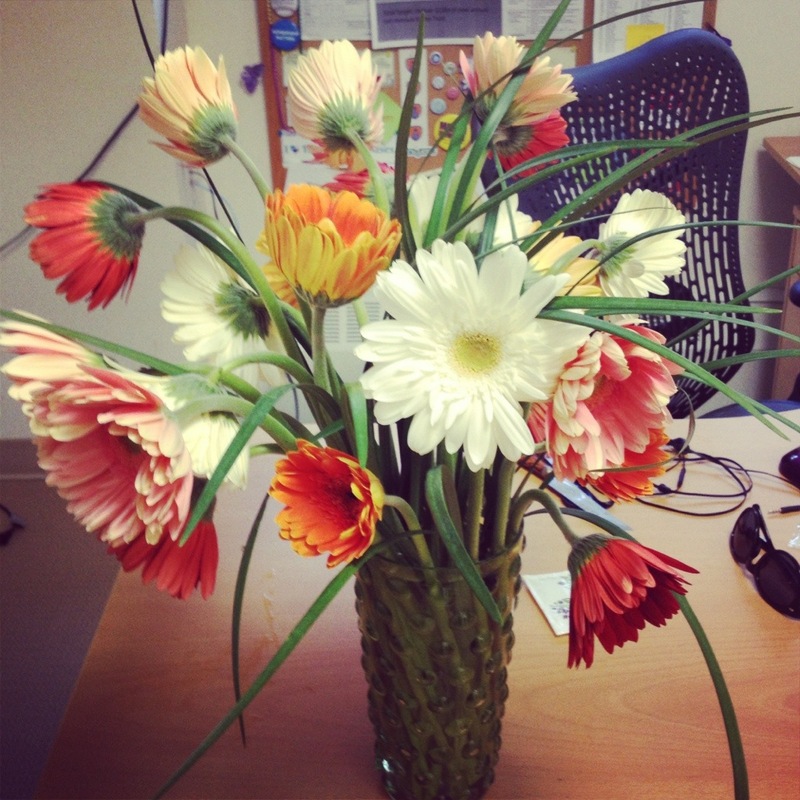 The beautiful Gerber daisies that were waiting for me at the office this morning. 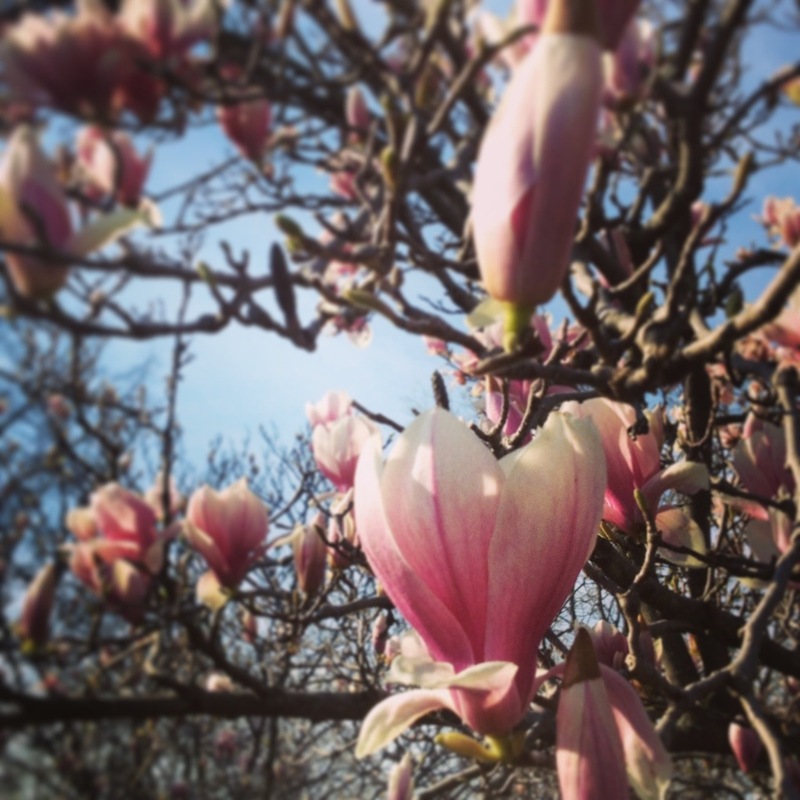 … That beautiful, welcome things like spring warmth and beautiful trees make me feel so miserable? The pollen count is on its annual climb, and right now, my eyes are itchy, my throat is scratchy, and I am oh-so-sleepy. I suppose I should be grateful – this year I finally recognized my allergy symptoms coming on and started taking Claritin before I was hopelessly congested – but it’s hard to find gratitude when I feel like I’ve swallowed sand. Ah, well. I’ll take comfort that I’ve got the window open tonight (I know, an allergy no-no) and it’s warm enough for me to be sitting on the couch in a tank top. It’s a bit jarring to have gone from unseasonable cold to unseasonable heat, but it’s supposed to even out to normal spring by the end of the week. Before it does, though, I’ll have an 80-degree day off for my birthday, which is not terrible. At all. Maybe I’ve got more gratitude in me than I think, because yeah… I appreciate the hell out of that.